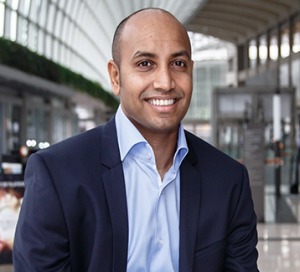 While in Singapore, I had a chance to speak with InstaReM Co-founder and CEO, Prajit Nanu. We touched a big range of topics – but one commonality stood out to me when reflecting on other CEO interviews. Prajit believes the remittance market will be forced to evolve as customers become savvier and look to simplify his transactions. But Prajit suggests a different solution than other CEOs we have spoken with. He believes “bundling” financial products is the future. On the founding of InstaReM and the impetus to its evolution With all journeys there is always some luck and something that falls into place. One of our leading banking partners reached out to us and said, “Hey, where else can you send money?” and we said, “We can send money to these entities” Our spread was small, we were doing about 15-20 countries. So they said, “Hey can we use you to send money cross border” and we thought about it and said hey, why not? So that sort of initialized our process. Having a bank as a customer is always a great thing and that’s really how it started for us. So it started with luck, with an existing client/bank approaching us, then we really started the market, so we work with banks, PSPs, online travel agencies, we have various kinds of cross border payments. Our focus there is to work with really large financial institutions, where we create products together for them to enable the sending of payments, especially on the consumer side. On transforming from an FX product to a multi-use consumer financial product On the consumer side, there is significant loyalty within the products, where customers come onto our platform- but what we strongly believe is that the future of remittance products is going to be having a complete bundled product, where remittance is just part of the product. You will see more and more people bring on products which are focused on various aspects that the customer wants, so we want to go higher in terms of wallet share of the customer, in terms of what money we can make, as well as we want to go higher in what services we want to provide for the customer. What does a migrant require when he moves to a new country? He requires a lending products because he may want to buy a car while he is there, he may want to buy a house. In that case remittance will only be an aspect of the product. I think what will happen is all financial systems will become an ecosystem of the migrant, and that will be the core in the next three to five years that we see. On lending and mortgages becoming a product of interest to InstaReM The majority of the guys that we work that are overseas, they always have a mortgage product, in India for example. With existing customers, 45% of them had a mortgage product, ranging between a value of USD150-200k. And we strongly believe since you do not live in the same country anymore, you are not able to continuously keep track of whether or not you can get a better rate, you just keep on paying it. Our view is to create a blended product, where you can come onto our website, you know we understand what the mortgage you have is currently valued at, and then once we understand that, pick out five deals in the market that are much better than your current mortgage, and you can choose one and we can online enable that transaction [and re-finance]. And that’s the beauty of bundling the product, of doing mortgages and combining it with remittance as well, I believe that’s the future. On building a trusted brand We are not a lender, we do not specialize in lending. We will actually go out and find a bank that works on lending. So from our perspective, lending is a full task on its own, so it will not be done by us. So the customer will resonate the brand, they will see the brand and say, “Oh, I know this brand that will give me the mortgage so I don’t have a problem with switching over.” So it’s not going to be InstaReM branded but a local bank branded. Mortgage is one aspect. Even if you look at smaller transaction sizes, say I live in Singapore and I want to buy a massive new TV. Instead of spending 6-7,000 USD on my credit card, instead what if I have a situation where instead of paying my card, I have an online loan over 3-6 months? These are more situations we are trying to integrate into InstaReM – it is all part of the financial ecosystem of what the customers will do. And the importance of transparency to get there I think brand, especially on the consumer side, brand is at the core of what you do. So for us, our brand stands for transparency. Transparency is the most important part for us. 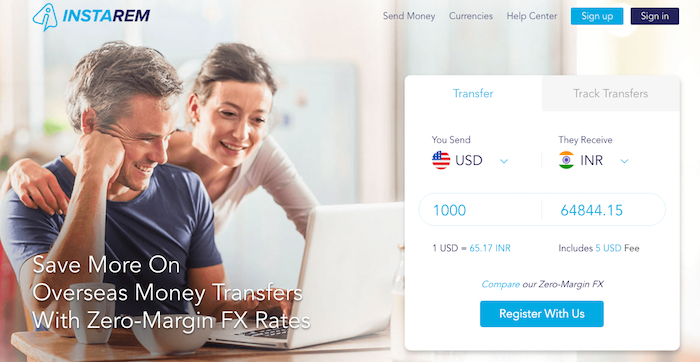 We have zero FX margin, so basically wherever you are sending money from, we charge a percentage amount of the transaction, so we don’t hide any cost in the FX rate, whatever the FX rate is at the time is what you pay. Whatever you see on our website is exactly what we pull from Reuters, so there is no gap, no glitch, none of those things. So for us the core is transparency. We strongly believe that the customer wants transparency now. They don’t want somebody who hides the rates or takes a long time for the money reach its destination. So what we are building is a transparent model, and automatically that leads to trust on a much faster rate than if you hide your rates and transaction fee and the money arrives after a long time. On building the corporate and banking offering On the business side, InstaReM has a single API that enables you to pay in 60 markets, so except for Latin America and Africa, we enable you to pay in all of the markets. Now where we are stretching more, we are in the process of applying for a banking license in Europe. The reason we are applying for a banking license in Europe is because there are a lot of banks we work with that have trouble getting cross border banking relationships in Europe, Australia, etc. So the idea is to create a correspondent banking channel for all of these banks to basically tap into. So that’s going to be a big focus for end of 2018 and 2019.